THOUGHTSKOTO Thoughtskoto : FIRECRACKERS BAN, DO YOU AGREE THAT DUTERTE GOVERNMENT WILL STRICTLY IMPOSE? FIRECRACKERS BAN, DO YOU AGREE THAT DUTERTE GOVERNMENT WILL STRICTLY IMPOSE? THIS IS NEW YEAR IN THE PHILIPPINES. PART OF THE CULTURE THAT IT IS USUALLY CELEBRATED WELCOMING THE NEW YEAR WITH A BIG BANG. Firecrackers and fireworks are part of the revelry, in the streets by both young and old. But the party is sometimes, bloody, and excruciatingly painful to some. A total of 380 was wounded last December 2015 to January 1, 2016 because of firecrackers. The most recent incident that some residents especially in Bocaue are calling for a ban of fireworks and firecrackers is the explosion of a firecracker store in Bulacan. Watch the video below. President Duterte, in this video says that he would have to consult first his cabinet officials regarding the planned imposition of ban on firecrackers. 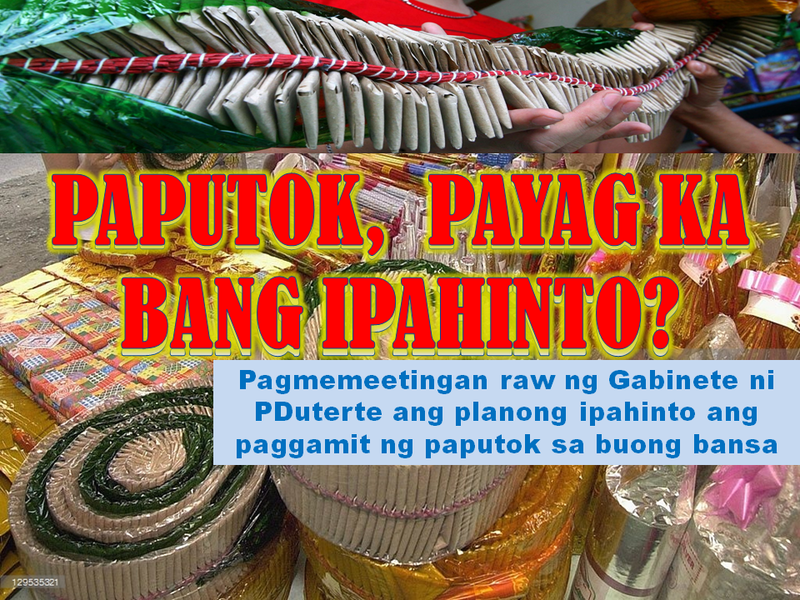 During his campaign, President Duterte touted to ban selling firecrackers all over the country like what is done in Davao City. Davao has an executive order and city ordinance banning firecrackers in Davao and has almost zero casualty or victim since then. According to some reports, instead of individual using firecrackers, some suggests using it as a community fireworks display. This is the business of firecrackers and fireworks in Bulacan.